David Bell joined the Music Education department of Miami University in the Fall of 2014. He is a graduate of Northern Illinois University and the University of Cincinnati, College-Conservatory of Music where he completed the Master of Musical Arts degree in Choral Conducting and was named the “Outstanding Master’s Student” in choral conducting, following the completion of his teaching assistantship in May 1979. Mr. Bell was the 2008 recipient of the “Virtuoso Award” presented by the Ohio Alliance for Arts Education, and was recognized as the Winton Woods City Schools "Teacher of the Year" at the Hamilton County Educational Foundation "Celebrate Excellence" ceremony in May of 2008. 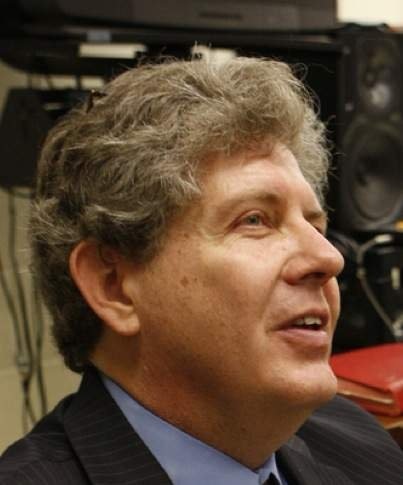 During his 32-year tenure at Winton Woods High School, the choirs recorded three CDs and performed over 35 times with the Cincinnati Symphony Orchestra and Cincinnati Pops under the direction of John Morris Russell, Eric Kunzel, Steven Reineke, Jesus Lopez-Cobos and Keith Lockhart. In 2012, the Winton Woods Varsity Ensemble was awarded a Gold Medal and placed 5th in the World in the Championship Division of the World Choir Games, which included over 360 choirs from approximately 50 countries. The Winton Woods High School choirs also performed sold out concerts at both the Forbidden City Concert Hall in Beijing, China, and the Oriental Center for the Arts in Shanghai, in March of 2008 as a part of a "Salute to the 2008 Beijing Olympics." Upon his retirement, the Winton Woods High School auditorium was re-named the “David Bell Performing Arts Center,” in honor of his distinguished service. In addition, Bell's classroom work has been cited and published by National Educational Consultant, Lee Jenkins, in Improving Student Learning: Applying Deming's Quality Principles in Classrooms (American Society for Quality, 2003), as well as the history of Cincinnati Choral Music, entitled A City That Sings: Cincinnati's Choral Tradition 1800-2012 (Orange Frazer Press, 2012). He also served as the former President of the Ohio Choral Directors Association, Music Director of the Dayton Liederkranz-Turner Saengverein Singing Society, and Assistant to the Conductor of the Vocal Arts professional chorus. Bell was a member of the founding committees for both the May Festival Youth Chorus and the award-winning Muse Machine arts education organization in Dayton, Ohio. He was also the Founding Music Director of the Cincinnati arts event, "Sing Cincinnati!," which was recognized by the Music Educators National Conference, the US Senate and Cincinnati Magazine.